Shrimad Rajchandra was a godman/guru who died young. His hand is an unusual one. It’s a long, large hand with deep lines. Even more interesting is the difference between the two hands. Not discernible at first glance, but looking closely one can see that the Headline on the right hand is longer, reaching the percussion. The other notable differences are a longer middle (Saturn) finger, a more pointed first (Jupiter) finger, a lower set Headline, and a longer Will Phalange of the thumb. Both hands appear to have what looks like a second Heart line or Girdle of Venus, and such a clear line in this position is an unusual sign. there is no information available as to whether Shrimad Rajchandra was right or left handed, the examination of the hands indicate that he was right handed. The right hand shows the enhancement of certain qualities and this is in keeping with his spiritual development. Check out a photograph of his hand here or here. 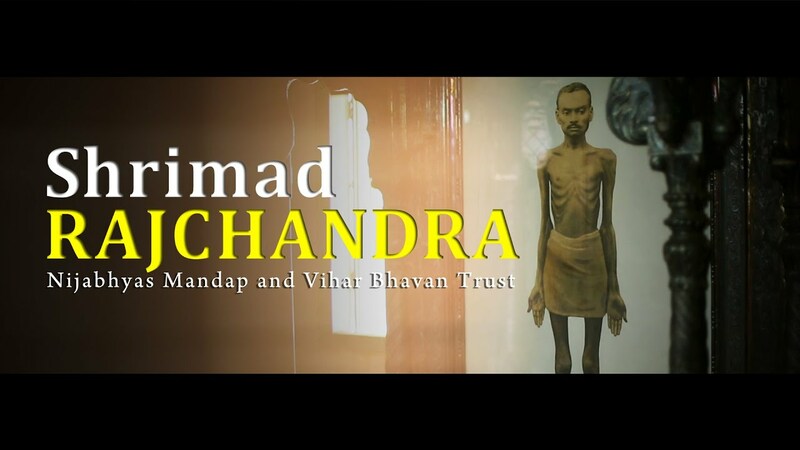 His hands tell us that however special Shrimad Rajchandra was when he was born, he came near to greatness as he grew older, into his teens and beyond. One is not sure what brought about this enhancement of personality, but what is clear is that his idealism grew to a very high degree, and his carefree nature turned serious and industrious. Wisdom and intelligence both grew along with his already existing emotionally sensitive nature and the big heart. Materialism all but vanished ( it was present is very moderate amounts in any case) and the willpower and leadership qualities increased significantly. Emotionally, there could very well have been two sides to his personality. One applicable to the outside world, and the other to his inner world. The inner world would be a world of his emotions and imagination, a world where he could immerse himself in abstract and intellectual thought, dreams, and symbols. Something which ordinary people would not possess. He was an inspired, imaginative and passionate person, quite restless in nature, but high spirited. 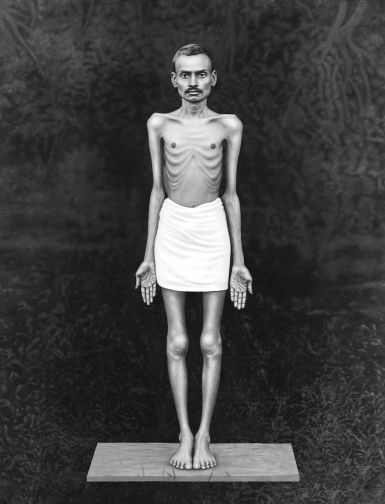 Shrimad Rajchandra’s hands show a very strong and intense personality, very focused, exceedingly determined, even headstrong. These qualities with extreme idealism would make it difficult for him to lead a normal life. Which he clearly didn't. Check out the hand readings of Spiritual Leaders from around the world. I didn't know about this person, and his connection to Gandhiji. I'll try to learn more about him. I am reading My Experiments with Truth, now. It's not as insightful as I had expected. what Girdle of Venus tells about? . what if it is broken or poorly developed ?because i have read somewhere that it shows the degree of sensitivity, why it is unusual for this particular case ? And i have one more question ,what a lower set Headline shows about person? Is it again related to sensitivity ? Well, broadly speaking the girdle of venus does show sensitivity, more of the emotional kind but the full hand has to be read before coming to a conclusion. The texture of the hand, its shape, and other lines all have to be read in conjunction. A clear girdle of venus can be a positive sign and is very rare. It can act as a double heart line. If it is broken and poorly formed, it can mean nervousness, and over sensitivity but not always. 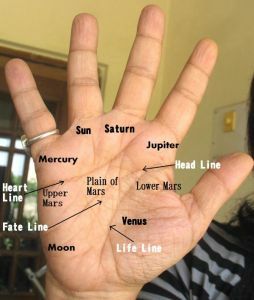 One has to read the hand as a whole always so just to take a broken girdle of venus and read it without taking into account other signs can be a grave error. A low set headline shows a clearer demarcation of the heart and head qualities (if the heartline is good, well shaped, clear) and thus more balance and clearer thinking. This only applies if the head and heartlines are both clear. Frankly, coming to conclusions after examining just one line goes against any kind of accurate reading. It can lead to mistakes and wrong conclusions. Generally I avoid telling people that this sign means this or that...because it would be wrong. I have explained this several times in my posts..that interpreting a hand is like a doctor making a complicated diagnosis. He cant come to a conclusion by a rash on the body, or a stomach ache, or blurred vision, or a head ache...all these symptoms have to be read together. I think Girdle of Venus is rarely found in the hands of spiritual gurus. One I can think of is J Krishnamurti. But I think both of them have unbroken line. Would it be right to say that a broken line indicates sensitivity to the extent that it might become a weakness of character? If so which particular value should be focused on to improve upon? A broken girdle of venus does show weakness of character. But it depends on the other aspects of the hand, like will power, overall sensitivity, which world the subject moves it, what are his motivations, drive etc. None of us are perfect and finally it is all about balance. It is quite possible that a person with a part or broken girdle already has the weakness in check. If he does not, then one has to see what effect the girdle is having on the lines and then suggest a recourse. Nita your descriptions are very convincing and confident. It shows your experience and practice. awesome !! !